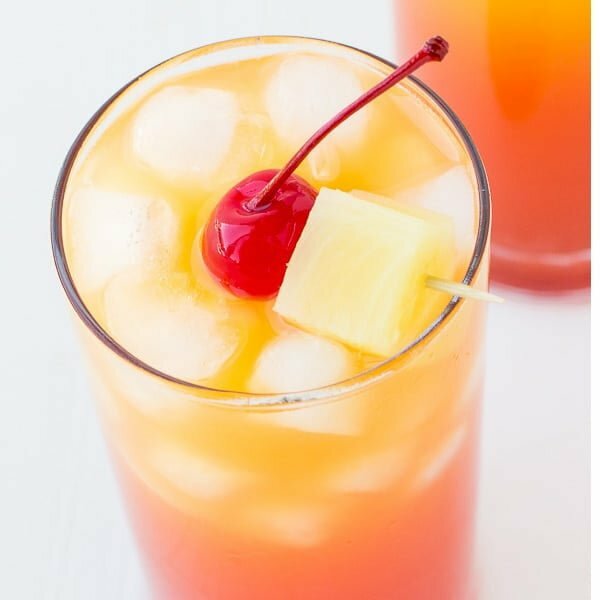 This Easy Pineapple Rum Punch will absolutely be your summer go-to drink! After one sip of this refreshing and truly delicious drink, your taste buds will be begging for more. Never in my life have I ever had an “adult” beverage that I truly enjoyed as much as this one! Maybe it’s the combination of the pineapple chunks, cherries, and rum (yum!) or quite possibly it’s the perfect blend of the trio of delicious juices in this fruity and refreshing rum punch. And while there is a bit of alcohol involved, don’t overlook the healthy fruit that’s packed into this drink! 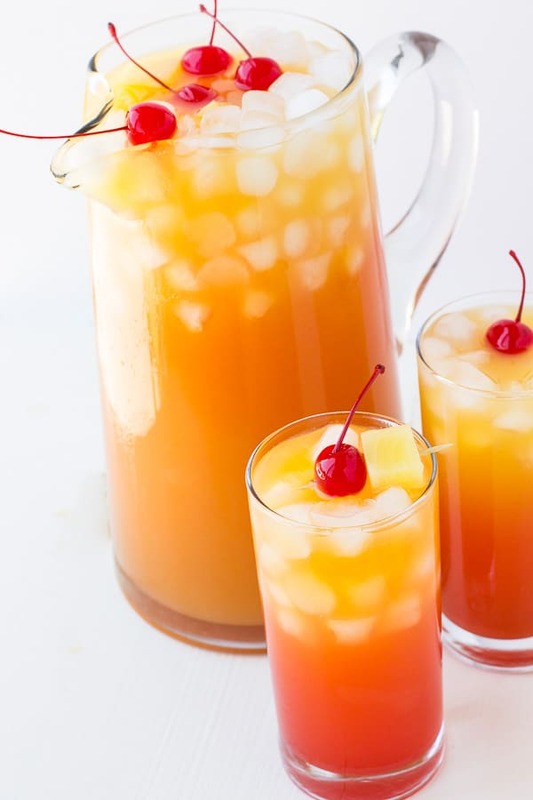 Pineapple juice, orange juice, and peach mango juice are truly the star of the show and take this Easy Pineapple Rum Punch from good to great. If your summer calendar is full of BBQ’s and festive dinners with your friends and family, this needs to be what you bring to share at each and every event. It’s the perfect way to introduce those in your life to one of the best drinks that they’ll ever have. Plus, it’s always nice to have your own drink of choice available for you to drink whenever you want! 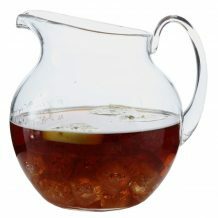 Mix up a pitcher (or two!) 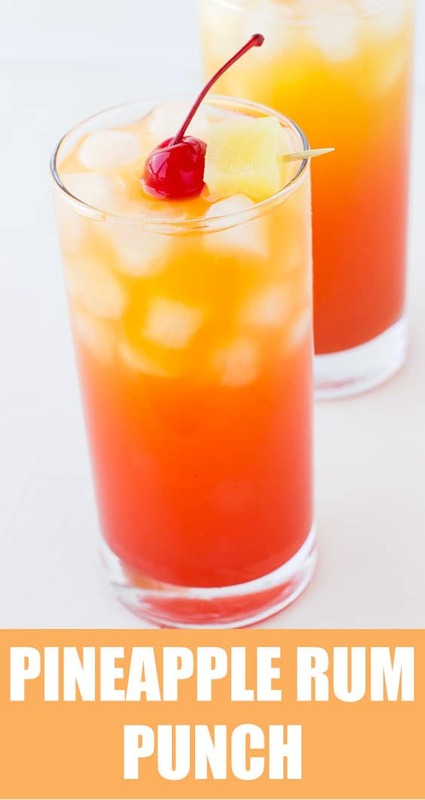 of this seriously simple rum punch and keep that tasty flavor flowing all summer long! 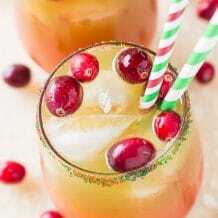 ● PINEAPPLE JUICE: 4 1/2 cups of pineapple juice. ● ORANGE JUICE: 1 1/2 cups of orange juice. 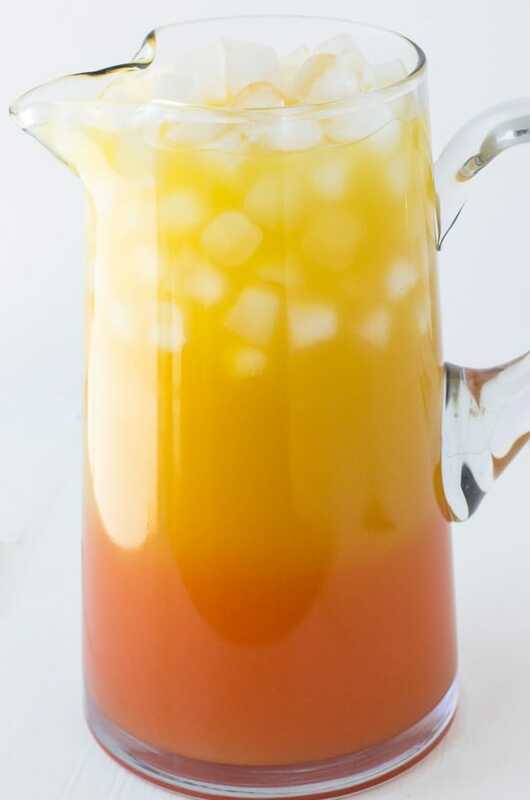 ● PEACH MANGO JUICE: 1 cup of peach mango juice. ● RUM: 2 cups of your favorite rum. ● GRENADINE: 3 Tablespoons of grenadine. STEP 1: In a large pitcher, combine all ingredients. STEP 2: Serve over ice and top with pineapple chunks and cherries. DON’T LIKE RUM? : No problem, I’ve made this punch without alcohol and I replaced it with 7-UP to make it fizzy. You could also use ginger ale or if you don’t like rum and still want it to be an adult drink, you can add vodka or champagne. MAKE BEFORE THE PARTY: You can make this rum punch the night before the party and bring it out when it’s party time. 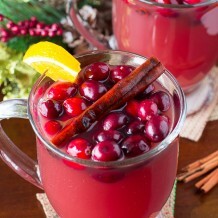 If your using 7-UP or champagne, I would add that right before your ready to serve this punch! GARNISH: Fill the pitcher with pineapple chunks or serve each glass with pineapple and a cherry. 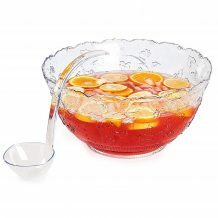 PUNCH BOWL: This is my favorite punch bowl, I use it at almost every party! PITCHER: Perfect for when you’re having a small party. 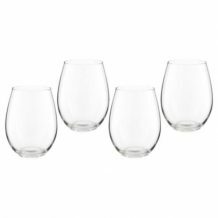 GLASSES: I like to use stemless wine glasses. 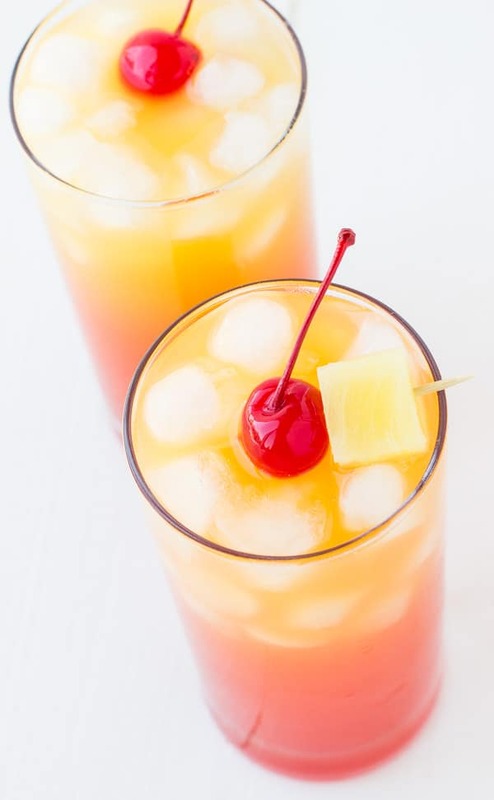 Serve over ice and top with pineapple chunks and cherries. This is my go to recipe for adult parties! A great taste of the tropics in the winter too. I can’t wait to try this with 7UP! I am always looking for great party drinks! Thanks! 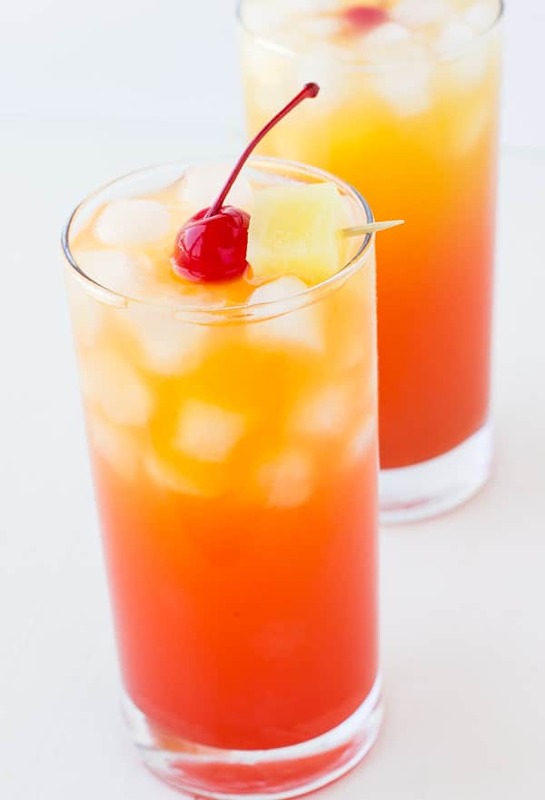 Rum Punch is one of my favorite. May need to make for the holidays. 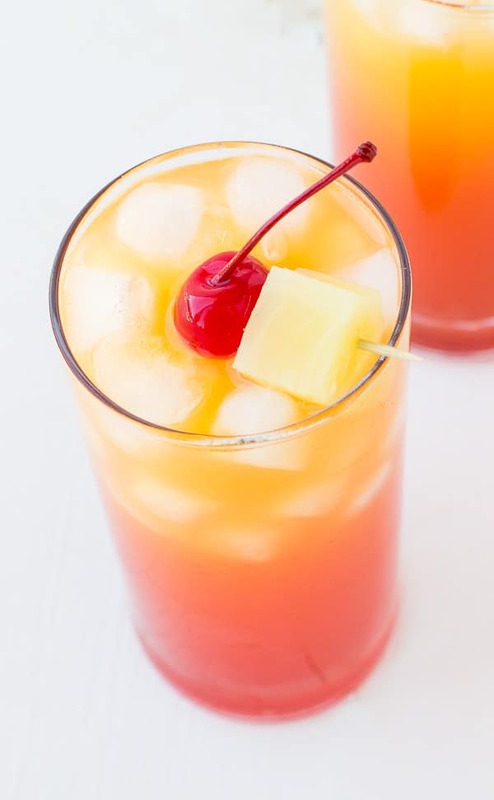 Rum punch is one of my all time favorites and this recipe was fantastic! This looks like the perfect cocktails for a party!